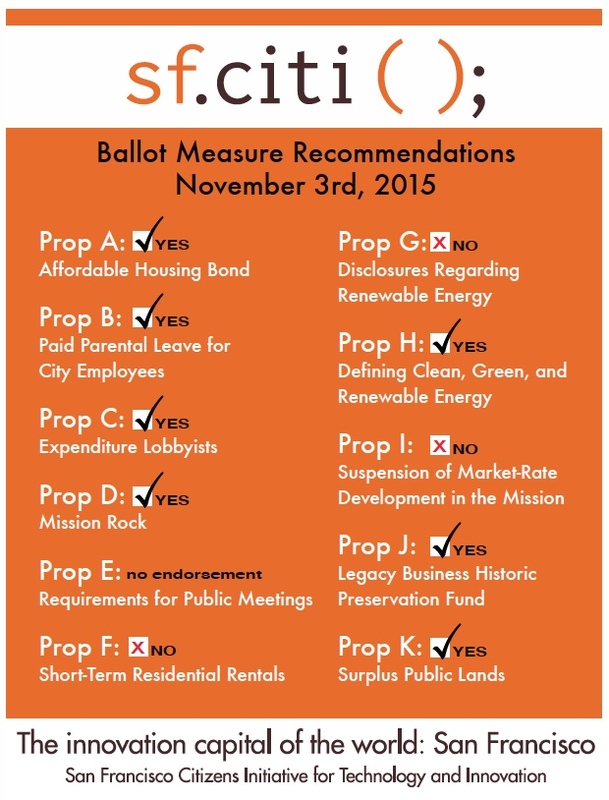 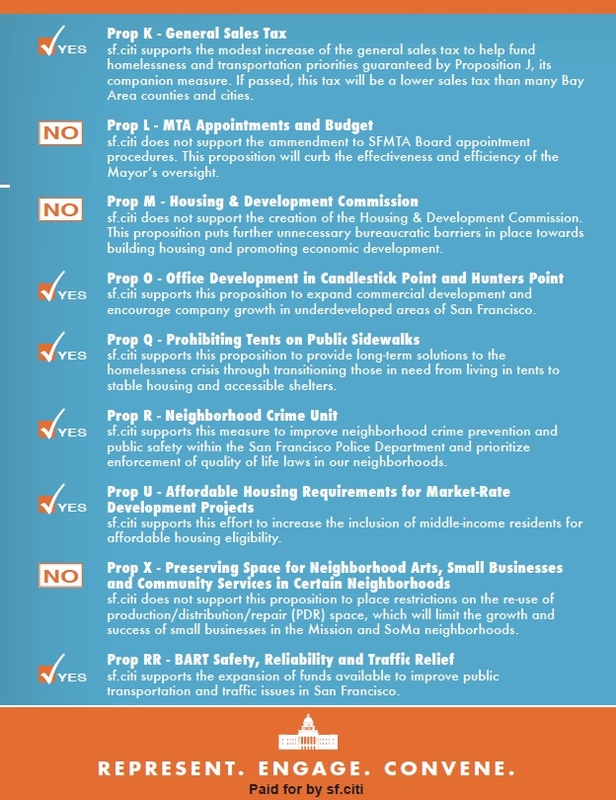 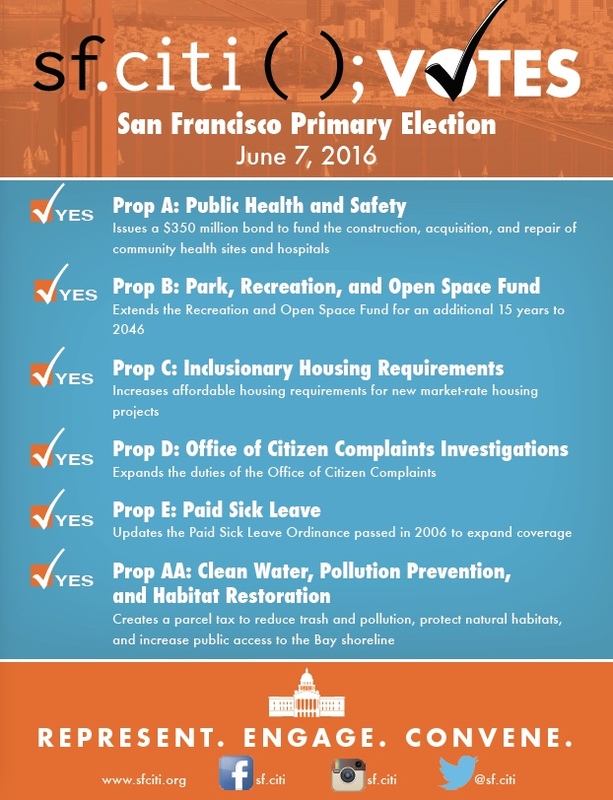 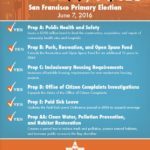 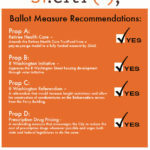 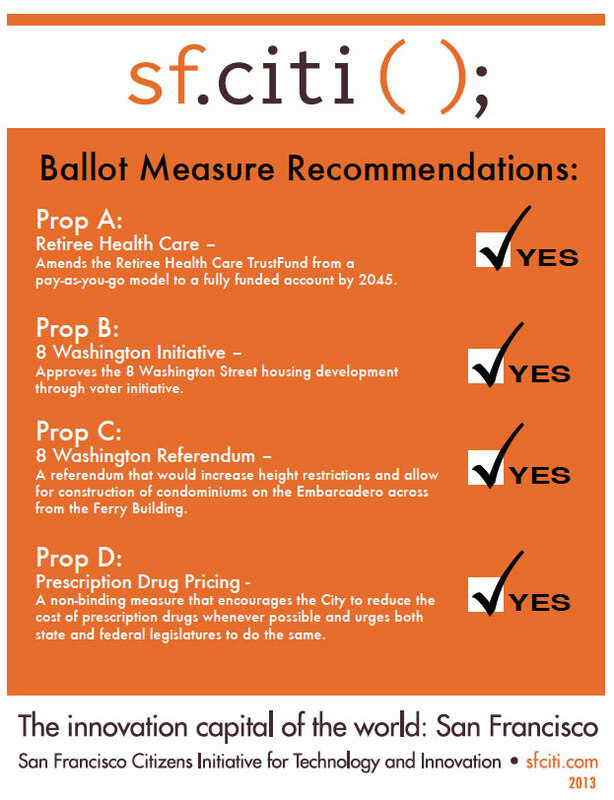 At sf.citi, we know that local elections matter. 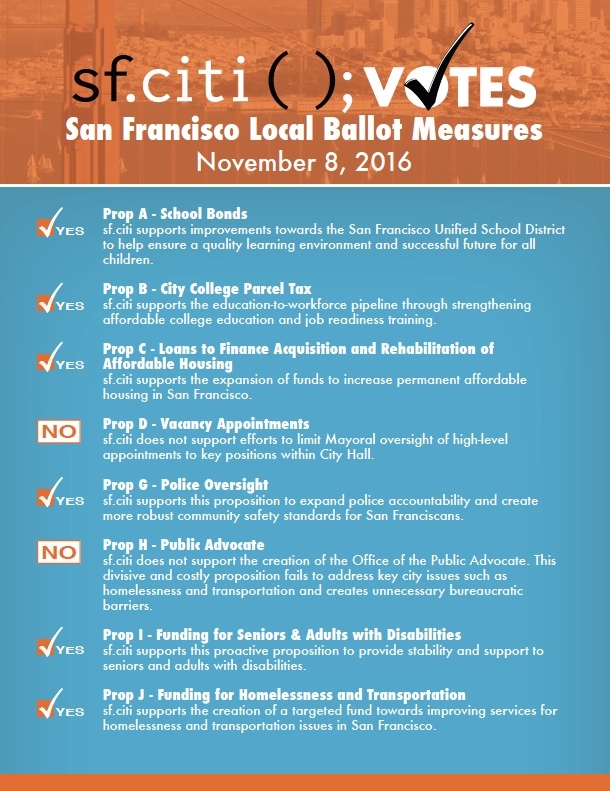 sf.citi promotes voter education, advocates for innovative policy proposals and encourages voter participation. 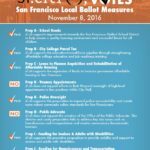 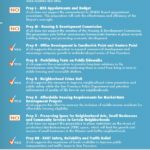 Before each local election sf.citi’s Board of Directors votes on and issues a slate card of local ballot measure endorsements. 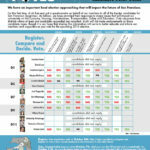 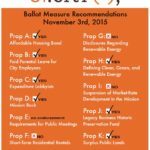 Our member companies also receive briefings with our insights and analysis about proposed local measures and candidate races before and after election day. 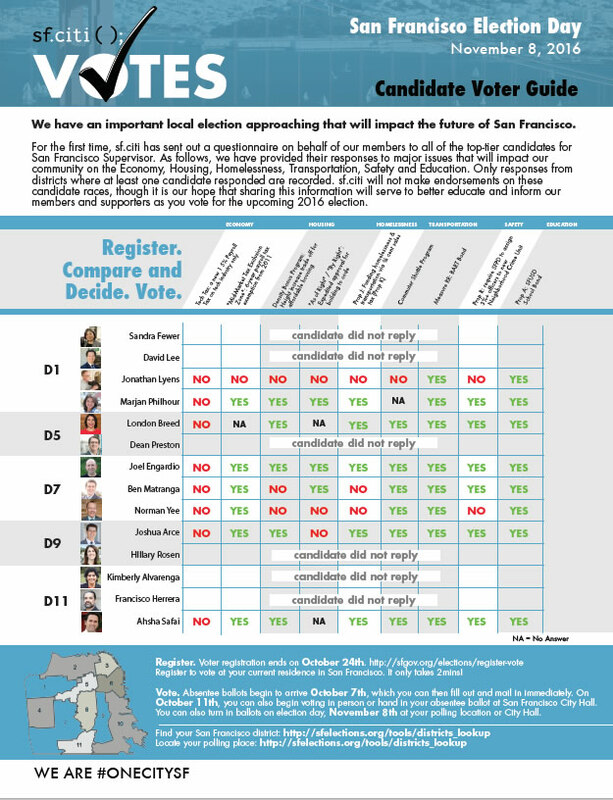 In the past we have organized voter registration drives in member company offices, making it easy for employees to participate in the democratic process.